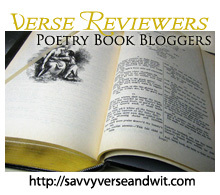 Welcome to the 98th Virtual Poetry Circle! mountain that draws everything in, even the clouds. Monster by David Livingstone Clink, published by small publisher Tightrope Books, is a collection broken into five parts and is dedicated to those who “dreamed of monsters under the bed.” What an appropriate dedication, as there is an undercurrent of menace to some of these poems. Beyond the shapeshifters, the aliens, and the other monsters that go bump in the night, Clink is drawing out the mischief and the darkness within each of us. While we are human, there is a baser nature beneath the civility that he calls attention to, warning us to remain wary and yet accepting of that nature. In “Pantoum for a Recent Kill” (page 36), the narrator highlights the need of humanity to categorize even dead bodies, to shape them within a context, providing them meaning even if no meaning exists. While we want to examine these corpses (whether they are literal or figurative) in great detail and pose them as we see fit, we also shy away from the pleasure of it and of acknowledging this darker desire to get involved on our basest level. “In putting an end to something braver than us/cut the corpse into small pieces. Bury it deep/and turn away with relief that this isn’t you.//” Additionally, readers may notice a slight disdain in the lines chosen by Clink; the narrator seems to be sarcastic about the actions of the denier who “buries it deep.” Perhaps Clink is discussing the corpses of our past selves or the past selves mentioned throughout history and lore, but no matter which corpses he is referring to, it is clear that he wants to break through the fear of self-examination. ending this day with awe and consolation. that had to be kicked out of it to be heard. Through playful language and use of creative poetic forms (from pantoum to cross-reading — “Weathered Remains” on page 24 being one of the best cross-reading poems in the collection), Clink will make readers take pause to rethink each line and their own preconceptions about their humanity, while at the same time celebrating what makes us human in the darkness. Overall, Clink’s use of language and poetic form in Monster creates a surreal malaise that readers will swim in, searching for an exit but enticed to stay to uncover the dark truth about themselves. A dark truth that is worth knowing so that they can move beyond it to a more mindful life. Another winner in poetry for the year. David is a member of The League of Canadian Poets. Check out his Website, Poetry Machine. This is my 20th book for the 2011 New Authors Reading Challenge. This is my 13th book for the Fearless Poetry Exploration Reading Challenge.